Branson is a destination that the whole family will love, with its limitless outdoor adventures and exciting live entertainment. Situated in the picturesque Ozarks, Branson provides plenty to do and see for nature lovers. Whether you spend your days hiking, fishing, or just admiring the beautiful natural surroundings, you are sure to fall in love with this Missouri town. In addition to its abundant outdoor beauty, Branson also provides endless fun and excitement in town, which is why Branson has earned the nickname, "The Live Entertainment Capital of the World." So when you're planning your upcoming family trip to Branson, don't stay at just any cramped hotel. 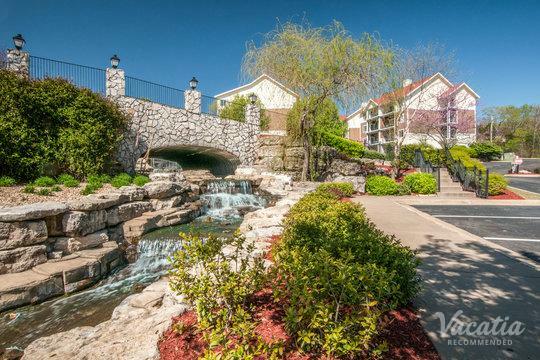 Instead, use Vacatia to book one of the best four bedroom condo rentals in Branson so that your entire family has enough space and comfort to enjoy every moment of your stay in Branson. 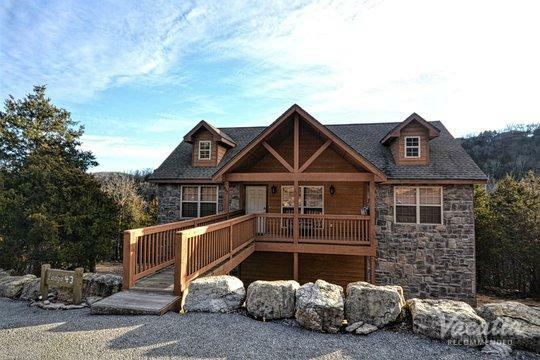 Vacatia can help you find a four bedroom cabin rental that exceeds your expectations and makes your Branson vacation one that you'll never forget. This Missouri town is one of the best-known gems of the Ozarks, as it provides great entertainment and adventure for all types of travelers. As a popular vacation destination for families, Branson is a must-visit whether you're planning a large family reunion or just a small family getaway. 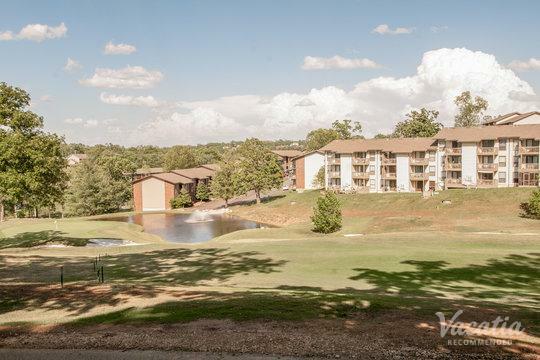 Either way, be sure to work with Vacatia to find the perfect Branson four bedroom condo rental for your upcoming stay in this beloved town. Unlike a typical hotel room, Vacatia's vacation rentals provide ample living spaces, including kitchen areas, as well as desired hotel-style amenities and services. The extra space and comfort of your Vacatia vacation rental will be a huge hit with the entire family, and the rental will quickly feel like your special home away from home. 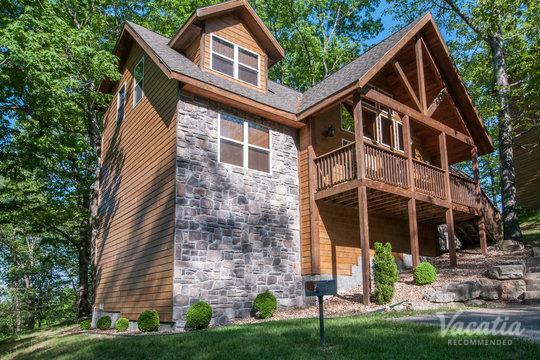 So if you need to find a great four bedroom vacation rental in Branson for your next family vacation, be sure to rely on Vacatia. Branson is home to terrific live entertainment as well as incredible outdoor adventures, which is why there's never a dull moment in this beloved Missouri destination. During your stay in Branson, you can spend time relaxing and fishing on Table Rock Lake, canoeing on Lake Taneycomo, hiking one of the many great Ozarks trails, or indulging in great dining, shopping, and nightlife in town. Branson visitors looking for a thrill can ride roller coasters at the amusement park or spend the afternoon mountain biking. If you're looking for a more relaxed vibe, you can peter around this charming Missouri town or kick back and fish on the lake. With so much to do and see, Branson has become a hotspot destination for families looking for a memorable vacation. Branson provides plenty of attractions that the whole family will love, which is why you will want to spend more time planning your itinerary for your Branson vacation than scouring the web for hotel options. Don't get bogged down in the vast selection of Branson hotels, because Vacatia can help simplify your trip planning process.